These Pi-Stop resource are available as fully customisable Markdown documents on the Pi-Stop github page. Each of the guides are also available in PDF format, and in several other automatically generated variants (for example, this includes versions which have instructions for the Model Plus only, or the original model). 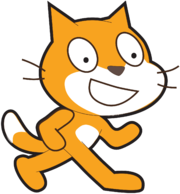 Scratch is a beginner friendly way to program the Raspberry Pi, designed for those who have not programmed before and are put off by the random keyboard mashing type code normal programming typically produces. Programs are simply created by dragging and dropping various types of blocks together to produce a sequence of instructions to follow. The default character who is tasked with following all these instructions is “Scratch” the cat! On the surface Scratch is deceptively simple, however do not let that fool you, there is a lot that can be done by putting a few blocks together and because you are not distracted by syntax and confusing commands, you can really focus bring your ideas to life and what you want to achieve. Scratch GPIO is installed from a single setup file. If an internet connection is available, obtain the Scratch GPIO setup file by running the following command. TIP: In the workshop, preconfigured SD-Cards are available which can also be connected to the USB of the Raspberry Pi. They will contain the required setup file. 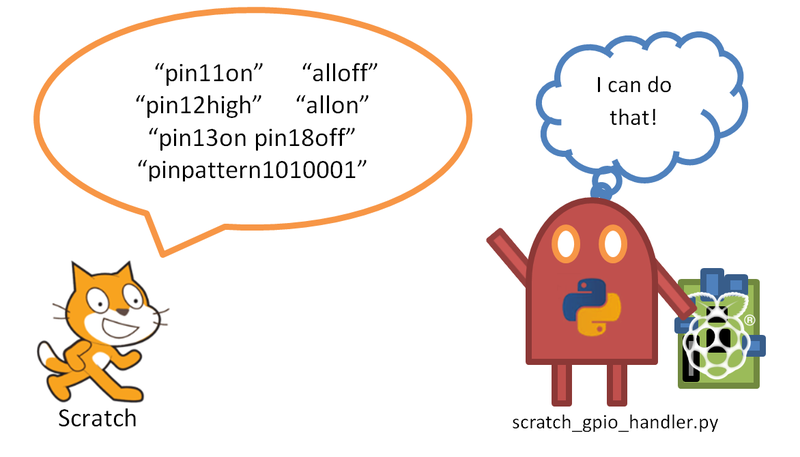 It is as simple as that, Scratch GPIO is installed on your system! If you have any problems, see the TIPs below for additional help. Before we continue, you will need to shutdown and power off the Raspberry Pi so we can fit our hardware onto the GPIO pins. WARNING: It is advisable to only connect and disconnect hardware to the GPIO pins when the Raspberry Pi is switched off to avoid damage. If your Raspberry Pi automatically starts in the desktop, click on the red power button in the bottom right corner and select Shutdown from the menu which comes up. Or open a terminal window (by clicking on the Terminal icon or selecting from the menu). From the terminal type the command sudo shutdown -h now. When the green activity (ACT) LED on the Raspberry Pi has stopped flashing (for over 5 seconds) you can safely disconnect the power. TIP 2: If you have copied the file to your Raspberry Pi SD-Card you can access it as shown below (depending if you have a NOOBS setup or not). Insert the USB device or USB SD-Card reader with the Workshop SD-Card inside, into one of the Raspberry Pi’s SD-Card. This will list all the drives and partitions detected on the system (if it is not detected as sda1 you can adjust the commands as needed). 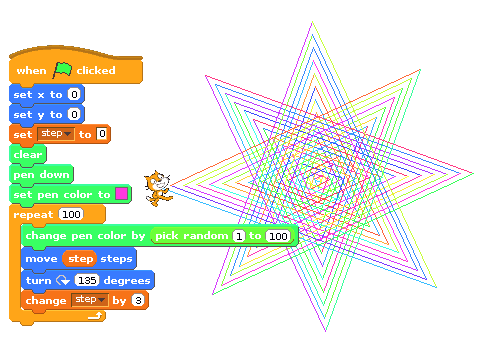 In addition to the normal Scratch blocks as shown above, Scratch is able to shout (called broadcast) messages to anything which is listening. 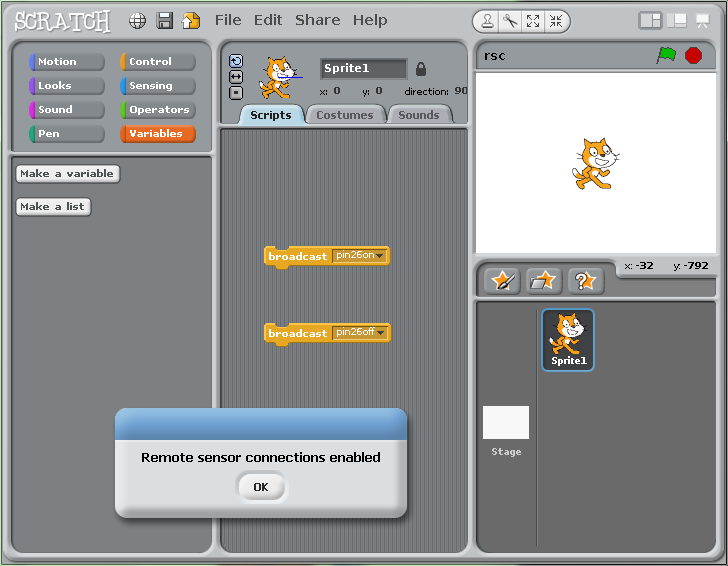 Scratch GPIO is a slightly modified version of standard Scratch which has an additional helper (scratchgpiohandler.py) running in the background. The GPIO helper listens for any broadcast massages which it understands and controls the connected hardware accordingly. First before we plug in our hardware, shut-down the Raspberry Pi if you haven’t done so already (see above). Plug the power cable back into the Raspberry Pi and let it start up. Scratch GPIO 5 is the standard version, while Scratch GPIO 5 plus provides additional support for several add-on boards. 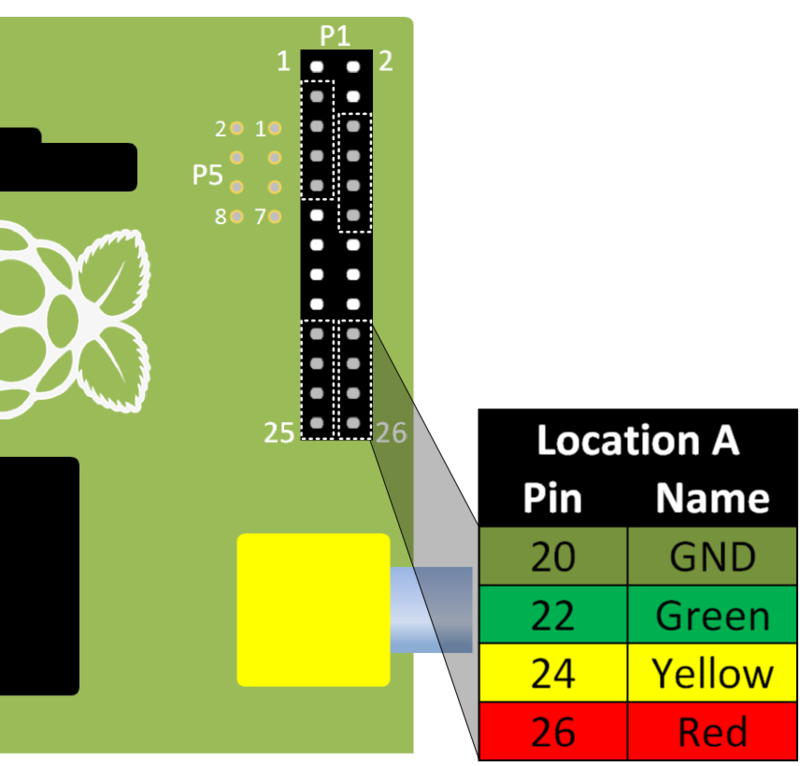 When you switch on your Raspberry Pi you will probably see the Pi-Stop’s Red and Yellow LEDs are ON. 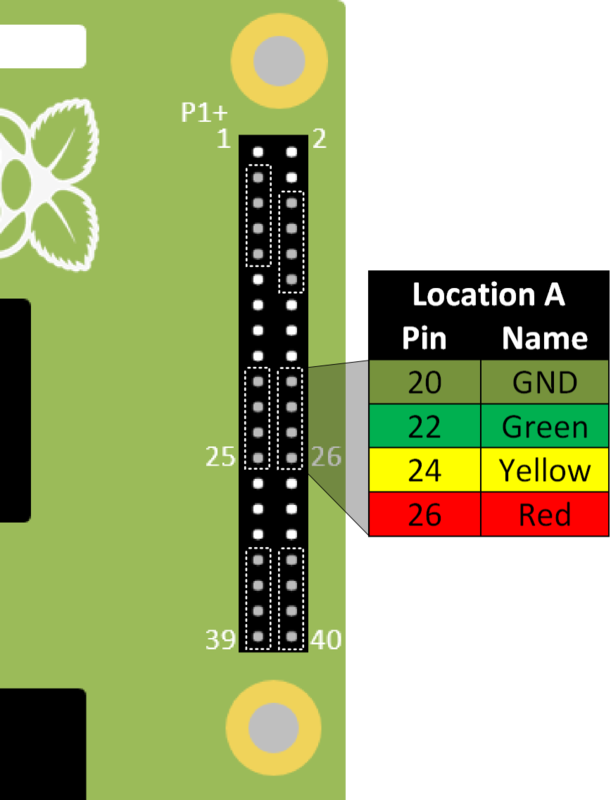 Once you have started Scratch GPIO and it has enabled the remote sensor connections, you may find that these LEDs have switched OFF or dimmed. The program starts with two default Broadcast blocks, with the messages pin26on and pin26off setup. We can immediately control our Pi-Stop lights by clicking directly on each of the broadcast blocks to switch on or off the Red light of our Pi-Stop. The Pi-Stop was designed in partnership between 4Tronix.co.uk and PiHardware.com. 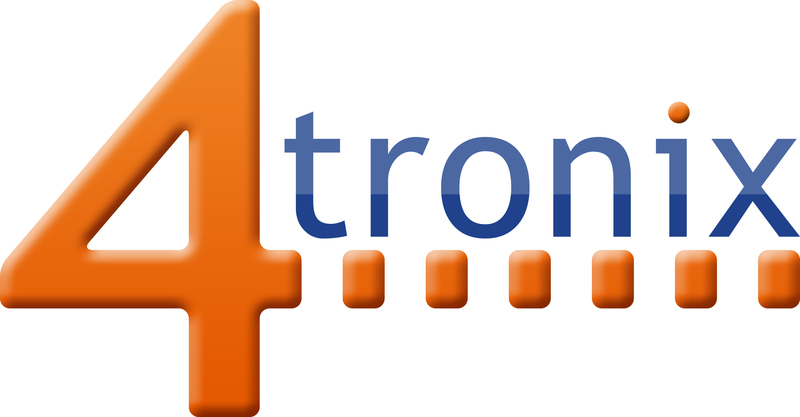 The Pi-Stop and accessories are available from the 4Tronix.co.uk shop. The Pi-Stop name and logo are Trademark of PiHardware.com and the design is Copyright 2014 of 4Tronix.com and PiHardware.com.